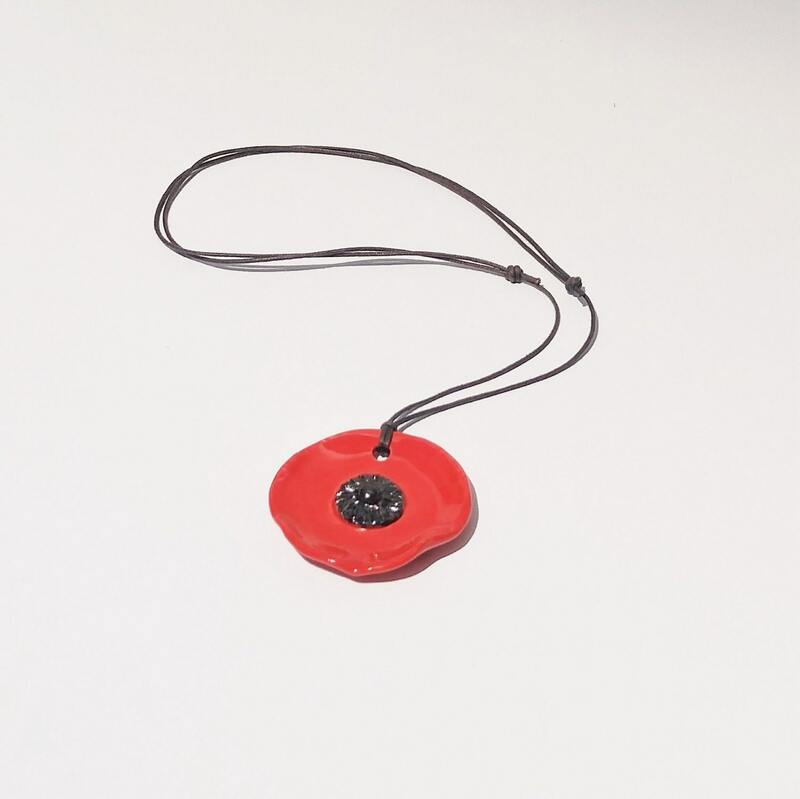 Make a statement with this brightly colored CERAMIC RED POPPY PENDANT. 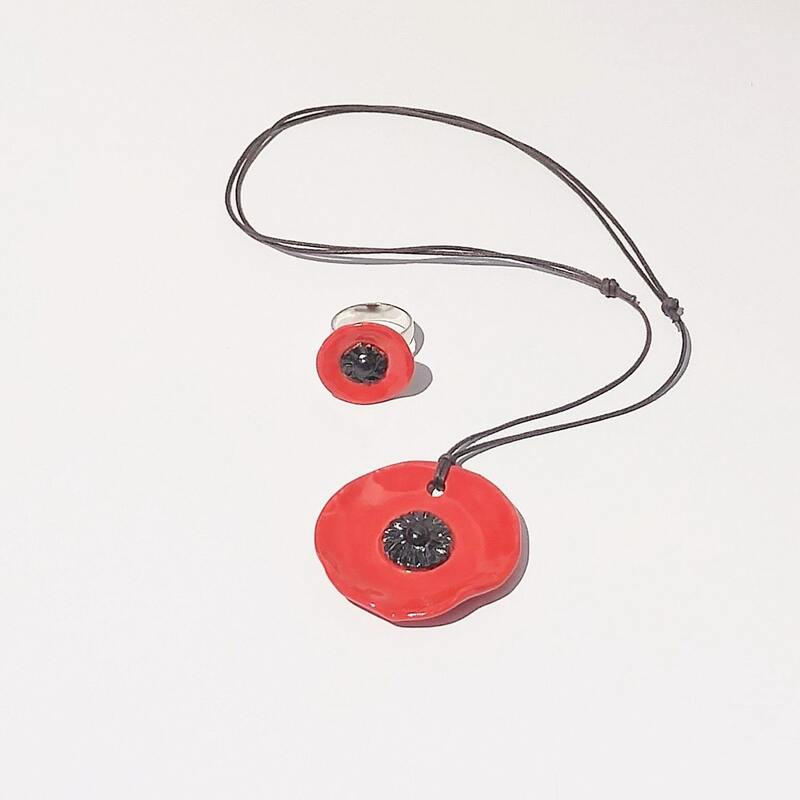 I created these bright red poppy pendants from stoneware clay, and kiln-fired them to cone 5 for lasting durability. 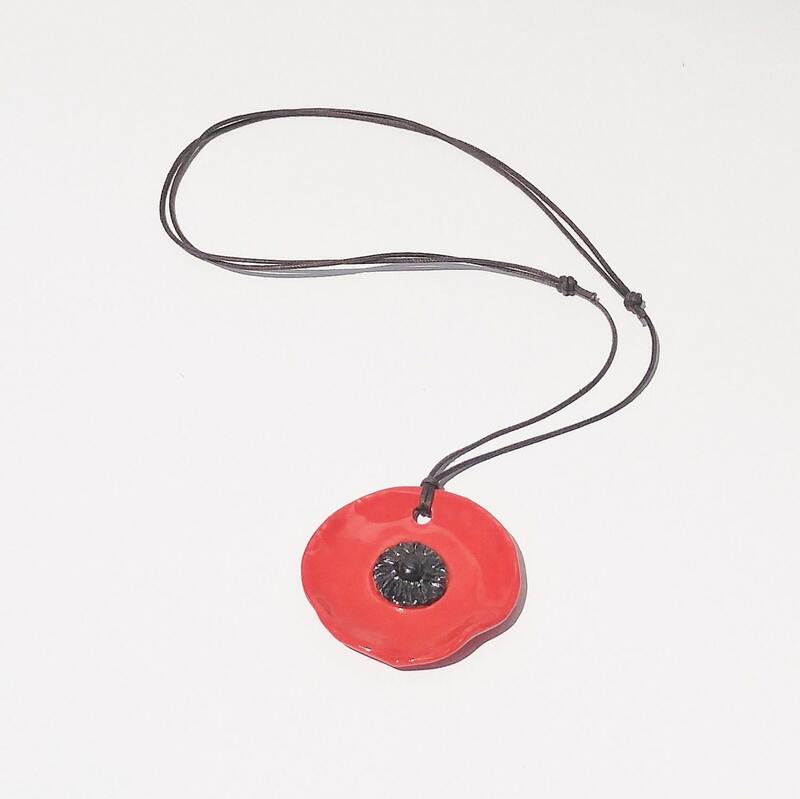 Each ceramic pendant comes strung on an ADJUSTABLE brown waxed cotton cord. Wear it short at 16" with t-shirts, or long at 24" with sweaters and tunics. I love the versatility! These ceramic pendants are SUPER LIGHT WEIGHT, so you don't feel like you're wearing a big clunky piece of pottery around your neck! I've glazed these ceramic pendants on both the front and back sides so there's no snagging of delicate fabrics. 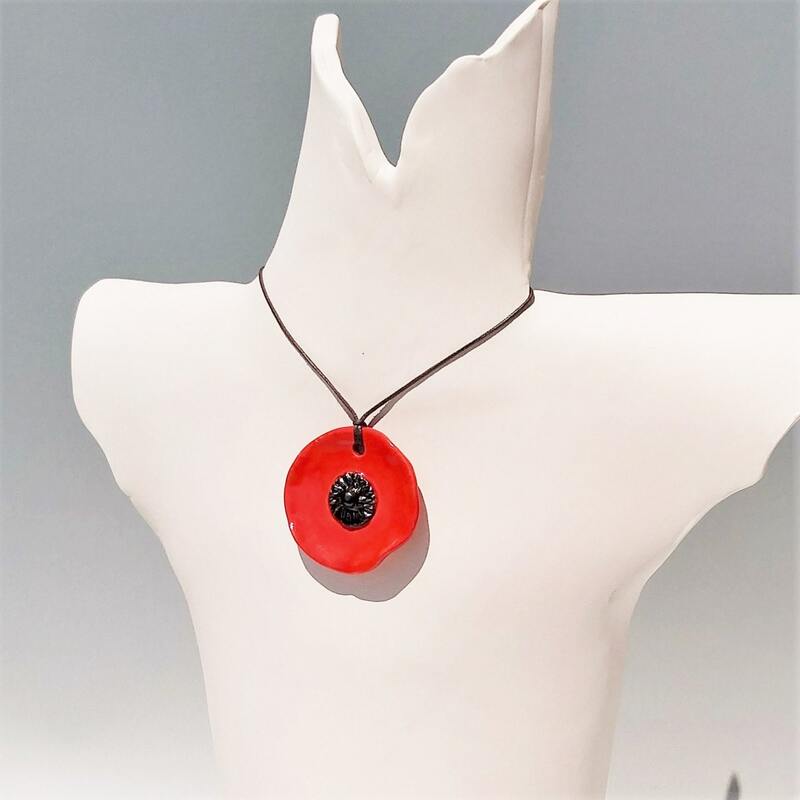 These ceramic pendants make lovely gifts for the woman in your life! 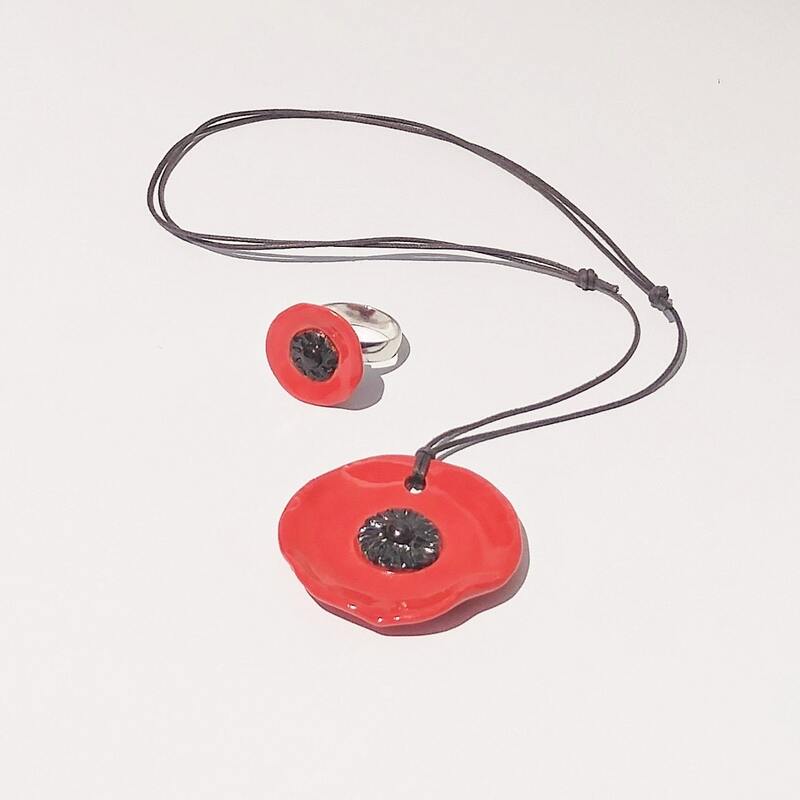 Note: This listing is for one (1) poppy pendant necklace, but you may choose the quantity you'd like above.